What does it mean to be real? To be genuine? This essay describes how Todo Sobre Mi Madre’s characters, as actors or actresses, either on stage or in real life, contribute to a discourse on authenticity. It focuses on the binary opposition between acting and being real, or between contrasting environments, and posits that Todo Sobre Mi Madre often deconstructs these oppositions to arrive at Almodóvar’s meaning on true authenticity. Todo Sobre Mi Madre (1999) constructs a pluralistic discourse on authenticity which is grounded not only in Almodóvar’s life experience but also on his recurrent ideologies on sexual fluidity and identity. 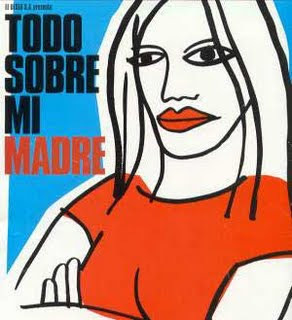 Todo Sobre Mi Madre argues that authenticity rests on a person’s diversity and on what Fouz-Hernández and Expósito term “avoidance of stereotypes” (160). For example, it highlights the binary oppositions inherent in Rosa’s character to present an argument about her authenticity. Rosa is a beautiful young woman who as stereotypes would have it, could easily thrive in a worldly existence. Instead, much like a Jesus figure, she engages in social work, caring for marginal individuals like transvestite prostitutes. As exemplified by her selfless devotion to others, Rosa is a diligent nun with a heart of gold. But she nevertheless secretly breaks her vows by engaging in illicit sexual exchanges until she eventually falls pregnant to no other than transvestite, Lola. To multiply contradictions, Rosa is also a martyr figure who, after courageously carrying her pregnancy full term even despite an atmosphere of maternal disapproval, dies tragically, leaving behind what in Franco’s days would be called a sinful, HIV ridden body. Rosa is therefore painted as a fluid character. Her multiple facets run contrary to expectations. For example, her naivety vis-a-vis Lola remains perplexing given her regular exposure to transgender prostitutes and therefore to the worldlier side of life. What is to make of such complexity in a single individual if only that it informs the viewer of the multi-dimensional nature of authenticity? As the narrative would have it, Rosa is also the love child who, following her death, is fondly mourned by all. This elevates Rosa to saintly status on the grounds that she transcended both morality and sexuality. According to Almodóvar then, Rosa’s authenticity results from the diversity of her character and the deconstruction of dichotomies whether these imply naivety/worldliness, innocence/depth or even beauty/disease and finally, the ubiquitous saint/whore. On broader terms, this non-stereotypical authenticity mirrors El Deseo’s production values “to push the boundaries of genre” (Triana-Toribio 158). Todo Sobre Mi Madre suggests that often, playing a role, far from alienating an individual from who they really are, can ultimately liberate them, drawing them to a closer understanding of their own desires or their true nature. As evidenced by close ups of Manuela watching A Street Car Named Desire, the aggrieved mother is deeply moved with Stella’s character. 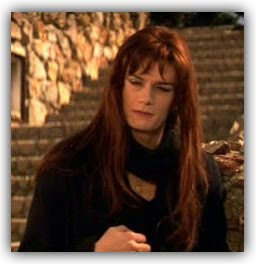 Manuela’s obsession with Stella is attributed to the parallels she recognises between the stage character and her own experience with Esteban’s father. Manuela’s performance as Stella therefore becomes only natural and it attracts positive feedback precisely because it is heartfelt. Performances are portrayed as tools for catharsis rather than for imposture. During one stage scene, we watch the new Stella cry intensely from labor pains. The narrative’s focus on that moment of Manuela’s performance can be read as a suggestion that her pain on stage echoes her real life grief and her longing desire to give birth again to her son. In other words, it infers that her performance has become a vehicle for her unexpressed desire to regain her lost son. This is further evidenced by Manuela’s later eagerness to adopt the new little Esteban and take him with her to Madrid. Overall, Todo Sobre Mi Madre's performances can be read as therapeutic means of tapping into one’s true nature and desires. In what Garlinger cautiously refers to as “an identification with women on the part of a gay director” (Garlinger 120), this existence by proxy may well be familiar to Almodóvar. The director has often focused on women who are over represented in his films (D’Lugo, 29, 63). Just as Manuela identifies with Stella and vocalises through Stella, Todo Sobre Mi Madre's director may find personal expression and authenticity through the women in his films. According to Almodóvar, being true to your own self, having self-integrity is the key to true authenticity. On the surface, Agrado and Lola’s transgender behaviours could be read as shallow. That is, they both recall the stereotypical drag queens that assume their new sexuality through excess, show and appearance. This reading would agree with Spanish film scholars who have often attacked Almodóvar for what they saw in his films as “shallow character development” (D’Lugo 9). But as claimed by Agrado: “A woman is authentic only in so far as she resembles her dream of herself. Todo Sobre Mi Madre indicates that what makes a person real is not their body but their sentiment (Garlinger 123), what is inside of them. Agrado’s stage performance is a camp discourse but far from being a shallow parody of gay culture, it is a strong affirmation of the authenticity of gay sentiments and the authenticity of being gay. Agrado is saying that she has physically transformed herself not because she is essentially a fake but because what is inside of her longed to find form and expression. In his discourse on authenticity, Almodóvar also “draws attention to the construction of the body” (Fouz-Hernández & Expósito 159). By highlighting her highly engineered body, Agrado not only alludes to her own construction but also to the construction of all women. All women, not only the men who desire to be them, are more or less subject to highly demanding aesthetic rules. The efforts required to attain feminine ideals render women no less fabricated than the men who desire the female form. By equating her efforts to those of other women, Agrado becomes as authentic as any of them. Todo Sobre Mi Madre's narrative also indicates that true authenticity is not achieved by merely projecting a cohesive self to others. Rosa’s mum is an example of a person who wishes to project an idea of herself to others and who in fact falls short of this image. As a morally self-righteous, cynical individual, Rosa’s mum scorns her daughter’s sexual affair and refuses to have anything to do with prostitutes or other marginal individuals. For example, she will not suffer a transvestite holding her grandchild, let alone endorse the reality that such a marginal figure is actually the child’s father. Yet, for all her claims of propriety as mother and grandmother, Rosa’s mum is a deceitful individual. She is an artist who forges work and passes them as real. What makes her inauthentic is her inability to openly acknowledge her own fabrications: Rosa’s mum truly believes that she is a morally upright individual. Yet another way in which the narrative questions her authenticity is in her desire to hide that her grandson is HIV positive. This dissimulation of truth for safeguarding one’s reputation as a proper citizen of the world contrasts sharply with Agrado’s shameless revelation of her own construction. It renders Rosa’s mum inauthentic. In terms of nationalism, the film suggests that authenticity within a person’s background is not lessened by the fluidity of their homes and their migration across different worlds. To illustrate this, Todo Sobre Mi Madre highlights several migrations across opposing worlds. There is Manuela, a downtrodden mother fleeing underground Barcelona to raise a child and establish a respected, professional status in Madrid. There is Manuela’s return to underground Barcelona to find her husband following Esteban’s death. It is followed by another journey to Madrid to raise a substitute son away from his prejudiced grandmother. These migrations illustrate the relative importance of each place in shaping Manuela’s character. Madrid sees Manuela evolve into a self-sufficient career women and mother but Barcelona is the setting where she finds joy and solidarity among friends. The underground world, both on and off the stage, also plays an important part in her personal development including her reconciliation with her husband. Madrid and Barcelona while representing opposite realms nevertheless both contribute to Manuela’s identity. The film’s argument is that people do not just originate from a single place or environment, nor can they claim a single socio economic background that will mark them for life but rather, people can in fact be shaped and evolve in largely disparate worlds each contributing to their character and their authenticity. This argument on authentic identity across disparate worlds reflects Almodóvar’s journeys both in life and in cinema. Like Manuela, the director emerged from humble beginnings in a Manchegan village which saw him migrate to Caceres in La Mancha and then onto Madrid where he taught himself film making (D’Lugo 15). All these places have inflected upon the director’s way of seeing things and representing them on screen. For example, he claims “My sister had a fashion design shop in Extramadura, and that world stayed with me” (D’Lugo 5). Almodóvar’s migration as director is equally evoked. Where once the stringent moral laws of the 70s made Barcelona’s underground film festivals the few places where Almodóvar could screen his short films (D’ Lugo 15), today the director has arisen “from a marginal figure within a marginal film culture to international prominence” (D’Lugo 4). Todo Sobre Mi Madre. Dir. Pedro Almodóvar, El Deseo S.A., 1999. D’Lugo, Marvin. Pedro Almodóvar. Springfield, Ill: University of Illinois Press, 2006. Fouz-Hernández, Santiago and Expósito, Alfredo Martínez. Live Flesh: The Male Body in Contemporary Spanish Cinema. London, UK:I.B. Tauris, 2007. Garlinger, Patrick Paul. All About Agrado, or the Sincerity of Camp in Almodóvar’s Todo Sobre Mi Madre. Journal of Spanish Cultural Studies, 5.1(2004): 117-134. Triana-Tiribio, Nuria. Journeys of El Deseo Between the Nation and the Transnational in Spanish Cinema. Studies in Hispanic Cinema, 4.3(2007): 151-163.